It is a truth universally acknowledged that a woman in possession of odds and ends must be in want of a place to store them all. Luckily for you, we've just the thing! 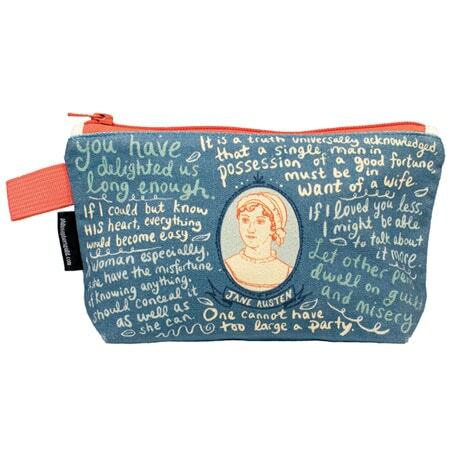 Our delightful Jane Austen Zipper Pouch features Austen quotes and a cameo of the author herself. 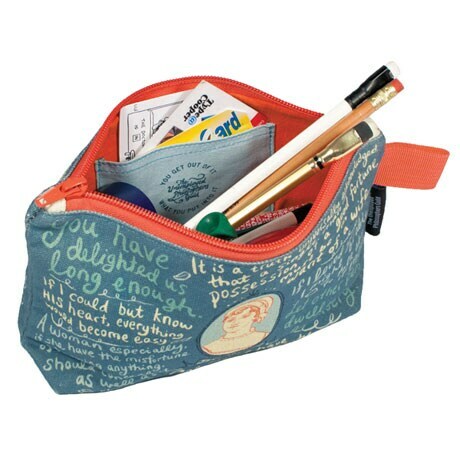 The deep teal bag measures 9"x5" with a 2½" gusset, and sports an eye-popping orange zipper, loop, and lining (and an interior pocket just the right size for credit cards or IDs). 100% cotton; machine washable.